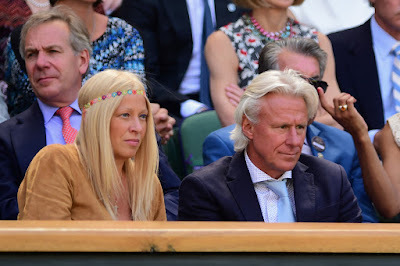 Bjorn Borg was so taken aback by the quality of Roger Federer's Wimbledon semifinal win against Andy Murray on Friday that the Swede is tipping him to defeat defending champion Novak Djokovic and win his 18th Grand Slam title on Sunday. After watching both Federer's and Djokovic's semifinal victories from the Royal Box on Centre Court, Borg claimed Federer was playing his best tennis in a decade and made him the heavy favourite for the title match, a year after the Serbian beat him in five pulsating sets. Three years have passed since Federer last won a Grand Slam title, when he beat Murray here on the Wimbledon grass. Victory against Djokovic would bring Federer a record eighth title at the All England Club. According to Borg, who won five Wimbledon titles, Federer's tennis against Murray was as good as it was during his peak years in the mid-2000s. Federer's father, Robert, concurred, saying his son had quieted all those who had suggested his powers were waning as he approaches his 34th birthday. "That's the best I've seen him play for many years, the best for maybe 10 years," Borg told ESPN after Federer's 7-5, 7-5, 6-4 victory over Murray. "He's serving so well. It was great tennis. "On Sunday, Federer will definitely be the favourite to win. He is playing well, moving well, he was doing everything he was supposed to. He is hitting the ball so cleanly and playing with a lot of confidence. "It's going to be interesting to see with Novak. I'm really surprised that Roger is playing as well as he is. Andy wasn't playing badly, and it was a great match, but Federer was too good today. This match was an unbelievably good match." Robert Federer was less surprised but may have taken greater satisfaction from his son's stunning form. He told ESPN that Roger's exceptional performance against Murray showed those who once wrote him off that "actually Roger's not that old." "This run to the final is confirmation of that," Robert Federer said. 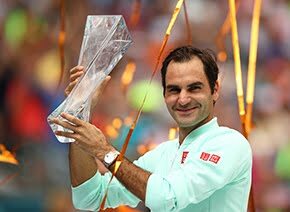 There have been occasional suggestions - peaking in 2013, when Federer had some disappointing results, including a second-round loss at Wimbledon - that he should retire. The debate about his chances of winning another major has been raging since. "Is it more satisfying that Roger has reached a Wimbledon final at the age of 33? That's a good question," Robert Federer said. 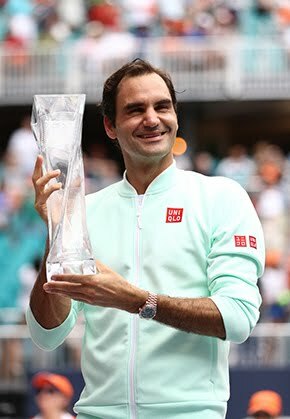 "It's confirmation that actually Roger's not that old, and not as old as some people think he is, and were writing two years ago. This is proof that Roger is still around and can still play great tennis. "Of course, it's great to see Roger in another Wimbledon final. I'm not sure you can say that this match against Murray is the best match that he has ever played at Wimbledon. Just look at the videos of some of the other matches he has played. For sure it was a good match, though."